Sydney - Australia's football body announced its support for the re-election of under-fire Asian soccer chief Sheikh Salman bin Ebrahim al Khalifa on Monday, drawing criticism from a prominent campaigner who called it "sickening". Football Federation Australia said it was backing the Bahraini royal's candidacy after discussions with the rest of the 12-member Association of Southeast Asian Nations Football Federation. 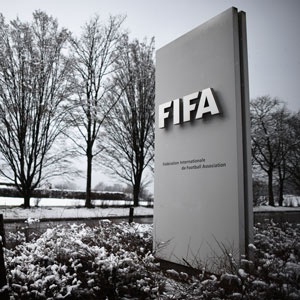 Sheikh Salman, FIFA's number two, was strongly criticised over the case of refugee footballer Hakeem al-Araibi, whose detention in Thailand and threat of extradition to Bahrain caused an international outcry. "It was the consensus view of all of ASEAN that Sheikh Salman is the best credentialed candidate to continue to lead the development of football both in ASEAN and in Asia more broadly," FFA chairman Chris Nikou said in a statement. "After discussion between the 12 Member Associations of the ASEAN region, we resolved in solidarity to support Shaikh Salman's candidacy," he added. Araibi, who held refugee status in Australia, was arrested after arriving in Thailand for his honeymoon, and spent more than two months in detention before extradition proceedings were dropped in February. The player, who is now an Australian citizen, had been sentenced in absentia on charges related to Bahrain's Arab Spring uprising of 2011. But he claimed he was targeted for political reasons following his criticism of Asian Football Confederation (AFC) president Sheikh Salman, a member of Bahrain's ruling family. Sheikh Salman, who is standing for a fresh term as AFC chief and FIFA's second in command, has long denied any links to Bahrain's crackdown on anti-government protesters including footballers in his former role as head of the Bahrain FA. Nikou said the FFA was "acutely aware" that the Araibi affair "caused some concern regarding the role of the AFC", adding that private lobbying helped to secure his release. But Australia's backing of Sheikh Salman drew condemnation from former Australia international and TV presenter Craig Foster, who was prominent in the international campaign to release Araibi. "This is sickening given the circumstances that the nation, and football globally, has just witnessed in the case of Hakeem al-Araibi," Foster said in a statement. "That Australia could even contemplate voting for such a candidate makes a mockery of any discussion of fundamental values within the game," he added.